So yeah, I know we're triathletes... but learning how to do a good flip turn will make us better swimmers AND triathletes, even if all we ever do is swim in open water, with no walls. It'll make us better because in learning it (especially via this progression of drills) we'll become better at understanding where our body is in the water and how subtle movements effect our stroke and body position. It's a little like dancing. Learning where you are in space and what your body is ACTUALLY doing when you THINK you're telling it to do something else... well, it's helpful with lots of other skills in triathlon. Like, is your foot striking the pavement in the most efficient way? Can you make an efficient foot strike automatic or do you still have to think about it? Do you have a bad habit? Can you relearn whatever it is so it's no longer a bad habit? Is there a dead spot in your pedal stroke? Can you make your brain tell your body how to fix that or is there a disconnect? Are you wasting any of your energy because the placement of your hand at the start of your catch isn't where it should be? Can you FEEL how it should be and can you then MAKE it happen? Your brain has to give your body that information. And if you don't practice that mind-body game, you won't be as good as you could be. You can learn body awareness by doing all kinds of things - yoga, pilates, dance, martial arts... right now I'm really enjoying practicing my brain-body connections by perfecting my flip turns. I'm getting better and better at them and my swim times are improving as I'm starting to be able to shave a second or more off of each turn... so it's making me a faster masters competitor too. And seeing what I'm doing on film is fantastically helpful. If you've been struggling with your turns or are just starting out, these drills are a great way to start at square one and learn the correct way... but, for no other reason, see if you can do them, just as an exercise in practicing body awareness... can you make your body do the things your brain wants? Being upside down under water is a great time to find out!!! Train hard and get your swim on!!! OK, so my first Tri of the season is next Saturday and it'll be my first experience with my new wetsuit. I'm quite excited to race with it - have plans to plunge into the 60˚F lake this weekend to get a feel for it. So the question: Can't I just take my own suit off?? Can ya'll calm my nerves about the strippers...it just seems like it'd be such an exercise in abject humiliation... any words of wisdom? 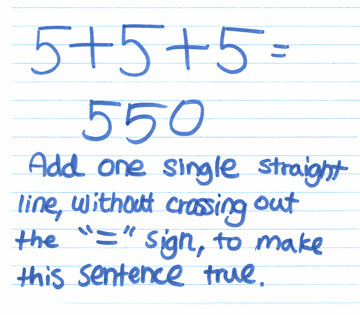 Congrats to Momo and Isis for figuring it out!!! If you get a chance, head on over to TEAM IRON TOM and check out 5 really great age group triathletes who also happen to be buddies from my swim team. These guys are all rock solid athletes AND people, and you'll really learn a lot from their adventures. Look for them in their rockin' red uniforms at a race near you!!! And don't be shy - introduce yourselves... and feel free to shower them with lotsa comment love!! And I know we're heading into open water swimming season but if you've been putting off learning how to do a flip turn, my coach has been working on a series of drills that will help with the learning progression, starring yours truly and a few of my teammates. Head on over to GoSwim and take a look at all the cool stuff! I like to call this new fangled approach The Noodle Method... mostly because it cracks me up. But it really seems to nail down the basics of the flip turn to be sure that you learn your flips correctly, without bad habits. So far we've filmed Drill #1 and Drill #2. Check 'em out!!! Hope ya'll have a GREAT weekend!!! Train and race hard!!! 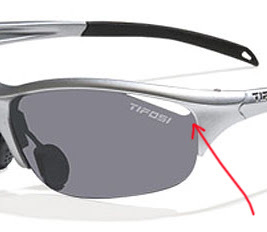 The TIFOSI ENVY INTERCHANGEABLE LENS SUNGLASSES. AMAZING. Let me just start by telling you a bit about me and my history with sunglasses. First, I'm convinced I have ears at different heights so any glasses I've ever had sit crooked on my face. Not these. These fit PERFECTLY. So perfectly that I think I actually might look hawt in them... always important. Next, I tend to sweat. A lot. And my glasses either fog up and I just plain can't see, or the sweat pools along the bottom edge of the lens and that's just irritating. Not at all an issue with these. A little more about the ventilated lens feature... it's SO COOL. I rode on a hot, humid day with these and didn't have a single drop of condensation on the inside of my lens. Even more impressive was that I RAN with them on another hot, humid day and even had a ball cap on and they didn't fog up. I don't run with sunglasses at all, ever, because they just get too foggy. The air vents in these aren't just a gimmick...they really work. Super cool. The other thing I wanted to rave about is the interchangeable lens dealy. My last pair of Smith Sliders, although CLOSE to the optimal fit for me, have a super annoying habit of loosening up to the point that the interchangeable lens will just fall out. This would stress me out so much in T2 that I'd given up on wearing glasses on the bike because I was afraid I'd end up riding with only one lens. Not ideal for eye protection (in either the one lens or NO lens options). The Tifoso Envy frame actuallly has a slot that the edge of the lens clicks into so there's no way it'll fall out or even get jarred loose. Primo. If you've spent much of your tri life to date looking for the ultimate sunglasses that're also affordable, look no further. These rock. Actually, Tifosi has an entire line of really great options available so take a look!!! Oh, and they're all UNDER $90 US Dollars. I got my new shades from Jerry at ONETRI.COM. The service was super friendly and quite timely and Jerry went the extra mile to get me hooked up. Head on over there for all your triathlon needs!!! In 1982, four nurses rode 100 miles through the White Mountains of New Hampshire to honor the courage and strength of their patient, Audrey Prouty, in her fight against cancer. This year, more than 3,000 people are expected to take part in the 26th Annual Prouty Century Bike Ride & Challenge Walk to celebrate and support the courage of cancer patients and survivors everywhere and to raise money for crucial cancer research at Norris Cotton Cancer Center. Over the 25 years of this event, more than $4.5 million dollars has been raised. This money funds world-class research, state-of-the-art equipment, critical education programs and innovative clinical trials that help save lives of cancer patients all over the world. Last year, The Prouty raised a record-breaking $1,250,000. This year our goal is $1,500,000. Please join us in raising money to help find a cure for cancer. The Prouty is the signature event of the Friends of Norris Cotton Cancer Center, a group of people dedicated to supporting cancer research, patient services and community outreach at Norris Cotton Cancer Center at Dartmouth. And I have good cause to want to help raise money for cancer research. My mom, dad and brother have each waged their own battles against this insidious disease. And here I am, the lucky one of four in my family who has yet to face cancer. Will I remain lucky? No one knows. I hope so. But for now, while I can, I'm going to do my part to contribute to cutting edge research that will hopefully someday lead to a cure. If not for all the research that's happened already, I might be the only one of my family left right now. It's important. I know lots of us have taken up causes like this and there are so many worthy ones to contribute to. If you can add some to the pot, great. If not, I'm sure you'll be contributing in other ways. Thanks to everyone who is out there making a difference.